Nintendo has revealed the Super Smash Bros. Ultimate Edition Nintendo Switch Pro Controller, a new design variation that will be released alongside the hotly-anticipated mascot brawler. 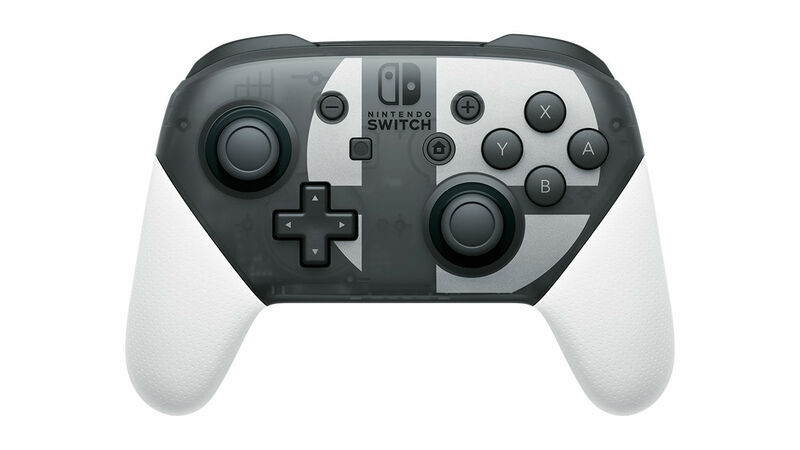 With the Super Smash Bros. logo emblazoned on the semi-transparent casing and having white premium grips, this is the fourth design that the company has released and joins the black Standard Nintendo Switch Pro Controller, the neon-coloured Splatoon 2 Edition with its splat design and the pink-handled Xenoblade Chronicles 2 Edition. Super Smash Bros. Ultimate will release exclusively for Nintendo Switch worldwide on December 7th, with the Super Smash Bros. Ultimate Edition Nintendo Switch Pro Controller to release to coincide with it. So far only confirmed for the United States, news on retailer availability has been promised in the coming weeks.